TY trip to Birr Outdoor Pursuit Centre. Home » News » TY trip to Birr Outdoor Pursuit Centre. On the 10th of October-13th of October transition year students went to Birr Outdoor Pursuit centre. 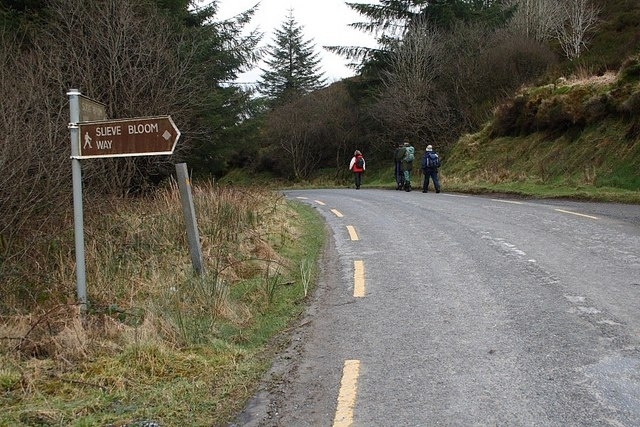 On the first day the TYs went hiking up the Slieve Blooms and hiked a total of 15km. When they got back they were served chicken curry, rice and chips for dinner. After dinner we played games such as “simon says” and “blindsman buff”. Later in the evening we went swimming in Birr Leisure Centre. On the second day we went canoeing for a total of 12km. After canoeing we were served lasagne and chips for dinner. After dinner the we tried out archery, rock climbing, cave exploring and human Fuseball outside. On the last day we went on another hike which was 12km along the Silver River.